If you read our recent post on Grip, the raven much beloved of Charles Dickens, you will remember that it was removed from the writer’s home on its demise in March 1841 in a covered basket, and was returned stuffed, in a rather fine glass-fronted “rustic” case. In other words, it had been taken to a taxidermist. Sadly, we have been unable to identify the taxidermist in question, but we do know of another stuffer with a curious Dickensian connection, and he is the subject of this post. His name was John Willis. Seven Dials. From Walter Thornbury Old and New London volume 3 p.198. some of us may have had the misfortune to see some special pet carried off by death, and to have sent it to a “naturalist,” to be stuffed. Meanwhile the nineteen-year-old John was a clerk at a wharf, but he soon abandoned this occupation, and when next sighted, in the 1861 census, he is also a taxidermist, or, to give him the title he preferred, a bird and beast preserver. Examining animals for sale at Jamrach’s shop. From The Illustrated London News 19 February 1887. By now he was married—his wife was called Emily or Emma—and living in Seven Dials. The occupational community to which he belonged was surprisingly extensive, and at about that time stuffers were operating all over London. Some won considerable renown, notable examples being Abraham Dee Bartlett, who in 1851 was awarded a gold watch by Queen Victoria for services to her pet birds, and Charles Jamrach, who became famous when in 1857 he fought one of his own tigers, which had run off from his shop with a young boy in its jaws. Others were rather shadier, and in 1858 it was reported that a Thomas Compton, who accidentally shot himself when he broke into the grounds of Baron Rothschild’s residence in Gunnersbury Park in Ealing, and subsequently died, had been in the habit of carrying a gun “for the purpose of shooting small birds to supply his brother, who is a bird stuffer in London”. Seven Dials in 1872. Engraving by Gustave Doré. If young John Willis enjoyed no such notoriety, the same certainly cannot be said for Seven Dials. The best description we have of the area, which was one of Victorian London’s worst slums, is in Sketches by Boz. Dickens recreates the scene with vivid details—the maze of fetid courts and alleys, the women drunk on gin and bitters, the half-naked children. He was writing in the 1830s, but it is hard to imagine that much had changed, let alone improved, by the time Willis set up shop, and Gustave Doré certainly found there in 1872 a tangle of filthy streets peopled by desperately poor Londoners. Here, then, John and Emily Willis made their home in a street busy with tradesmen and tradeswomen of every description. On one side their neighbours were a boot-maker, a cap-maker, a saddler’s ironmonger, and on the other a grocer, a haberdasher, and, coincidentally, a bird dealer. No. 42 itself was a tenement divided into a number of dwellings, and in the 1861 census it was home to six families—one of these the Willises—totalling twenty residents ranging in occupation from a ginger beer manufacturer to a gentleman’s servant. The writer Percy Hetherington Fitzgerald once saw Willis’s shop, and remembered “its dirt and darkness, and the articulated skeletons seen dimly through the frowsy panes”. Even in Seven Dials, which abounded with sellers of birds and animals, there would have been few sights as macabre as this. The artist Marcus Stone aged sixteen. Photograph in The Art Annual (1896). Then one snowy day in the winter of 1864 the door of Mr Willis’s shop opened, and in came a young man by the name of Marcus Stone. Fate, it would seem, was taking an interest in the stuffer of Seven Dials, for the opening of the door would set in train a series of events that would ensure him—an otherwise entirely overlooked Londoner—an improbable sort of immortality. Stone explained that he was an artist and illustrator, that he needed a stuffed dog for a painting he was working on, and that Willis had been recommended by an acquaintance. Willis told his visitor to leave the matter with him, and a few days later he appeared at the artist’s studio with a dog, of undisclosed provenance, and very much alive. The dog wagged its tail in such a winning manner that Stone almost forgot the nature of his project, but it passed muster, and was sent off with Willis to be “set up”, that is to say killed, and then stuffed, and then arranged in imitation of nature. Now it so happened that young Marcus Stone was a good friend of Charles Dickens, and that on the very same evening he went to the theatre with the great novelist. Dickens at that time was hard at work on Our Mutual Friend, and between acts he confided in Stone that he was casting around for something unexpected and unusual that he could make a distinctive feature of the novel. Stone immediately thought of Willis, whom he remembered as a “brisk, active, cheerful, little man”, and he gave Dickens an account of the dingy little shop in Seven Dials with its heaps of bones, its feathers, and its anatomical curiosities—its “bottled monsters”—in preserving jars. The next day, at two o’clock in the afternoon, Stone took Dickens to Great St Andrew Street. Mr Willis was not there, but the visitors were received by his assistant, a lugubrious youth who was working on some bones. 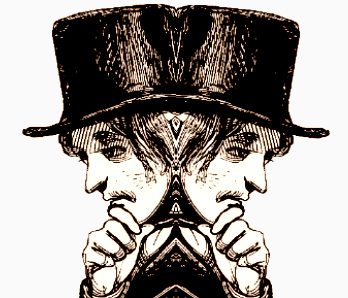 Delighted by the strangeness of the scene, Dickens observed all, noted all, and, without writing anything down, took away with him a mental sketch that became the shop belonging to Mr Venus, the sallow-faced taxidermist of Our Mutual Friend. “Mr Venus surrounded by the trophies of his art” by Marcus Stone. From the 1865 edition of Charles Dickens Our Mutual Friend. My working bench. My young man’s bench. A Wice. Tools. Bones, warious. Skulls, warious. Preserved Indian baby. African ditto. Bottled preparations, warious. Everything within reach of your hand, in good preservation. The mouldy ones a-top. What’s in those hampers over them again, I don’t quite right remember. Say, human warious. Cats. Articulated English baby. Dogs. Ducks. Glass eyes, warious. Mummied bird. Dried cuticle, warious. Willis continued to ply his grisly trade in Seven Dials for a number of years after his cameo appearance in Dickens’s novel. 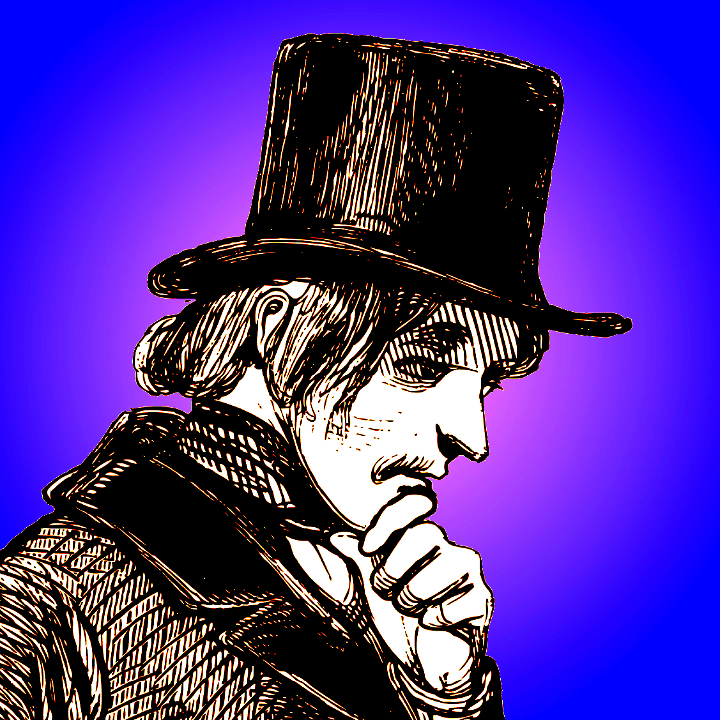 We spot him again in 1868, when a swindler by the name of Moss tricked him out of a pound, and, given that he went to court to recover the stolen money, we would probably infer that he was not a wealthy man. Some years later, in 1879, he is named in connection with a mysterious enterprise involving a person known only as “H.S.”, a mummy that had once been exhibited at the Egyptian Hall in Piccadilly, a display case and a cart. Clearly, our humble naturalist was attempting to diversify. But, shortly after, ill-health caught up with him, and he died in the winter of 1880. He was fifty years old, and he had been suffering from an enlarged and diseased liver. At the time he was renting a property—“Lawn Cottage”—in Kilburn Lane, where, by an extraordinary coincidence, Dickens’s younger brother Alfred, a civil engineer, had once lived. His death was reported to the registrar by a young clerk, George Arthur Day, who lived in Devonport Road in Shepherd’s Bush. Why Day was there, what his connection with the dying taxidermist was, and, for that matter, just who he was, are questions we may never be able to answer. On a final intriguing note, a “J. Willis” placed an advertisement in a south London newspaper in 1884, notifying the public that he had “a lot of bones to be sold cheap”. He was a stuffer, but he also called himself, somewhat euphemistically, a zoological artist. His premises were in Waterloo Road. However, he had formerly operated from no. 42 Great St Andrew Street. It would appear that somebody had been carrying on the business of the Willis—our Willis—who had died in Kilburn four years before. Drinking champagne at the summit of the Jungfrau, by Marcus Stone. From H Schütz Wilson Alpine Ascents and Adventures (1878) opposite p.38. No such uncertainty hangs over the career of Marcus Stone. He established a name for himself as an illustrator, working not only with Dickens but with Trollope and other writers as well. His range was impressive, from domestic drawing-room dramas to mountaineers in the Alps. In an odd echo of Silas Wegg, one of his illustrations to Trollope’s He Knew He Was Right shows the wooden-legged postman of Nuncombe Putney. The artist Marcus Stone in middle age. Photograph by the Stereoscopic Company no later than 1897. In 1877 Stone was elected an Associate of the Royal Academy, achieving Academician status ten years later. He was now living in Melbury Road in Holland Park, which then, as now, was a decidedly salubrious part of town. He could not have been further from the dark and malodorous shop in Seven Dials where he once encountered the strange Mr Willis. As for Great St Andrew Street, it is now the top half of Monmouth Street in Covent Garden. No. 42 has long since disappeared. So too have the bird dealers, the bird-cage makers, and the bird stuffers in their dirty, dark and frowsy-windowed shops.